Learners in Greenford don't have to look for a local test centre—they have two to pick from. Greenford London is tucked between a driving instructor training centre and an off licence, so it can be easy to miss if you're not looking carefully. Nonetheless, there's a lot you should know about this unassuming test centre. With that in mind, we've provided directions, pass rates, test routes and much more about Greenford London. 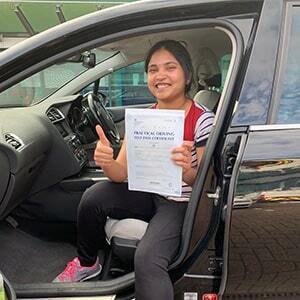 Situated near Sudbury and a stone's throw away from Wembley, Greenford London is one of the best options for learner drivers located in Northwest London. To ensure you get there hassle-free, use these simple directions. Please be aware that the test centre does not have parking spaces, so you'll have to park elsewhere. Located on Horsenden Lane, Greenford London is directly near the busy A4127. It's also on the doorstep of many residential areas, providing examiners with an even mix of road and traffic conditions to test candidates on in a practical test. If you'd like more general information about the town of Greenford, simply follow the links below. The DVSA has officially stopped publishing test routes in order to prevent candidates from memorising them before their practical. You don't have to worry, as you can still get an idea of what to expect by looking at videos of Greenford test routes on YouTube. Alternatively, you can download our sample Greenford driving test routes. 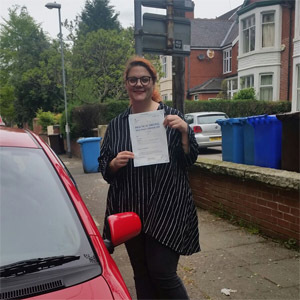 If you're taking a driving course with a local ADI, they'll have you driving on the local roads that will undoubtedly feature on your test route. So keep your eyes peeled on your lessons! For the most part, Greenford test centre seems to stick close to the average pass rate for Greater London, which isn’t too bad. Still worried? Ask your instructor to take you on a difficult route or a mock test—it will give you the chance to get a glimpse of what the practical might be like. What If I Can't Go To Greenford? If you can’t head to Greenford London test centre, you can always head to Greenford Whitton Avenue East. Alternatively, the closest alternative Greater London test centre is Southall. Once you get back to Greenford test centre, the examiner will ask you to park and turn off the ignition. They will then tell you your result. 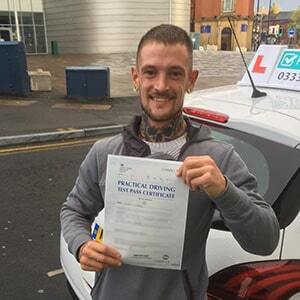 You'll be handed a feedback sheet—detailing any driving test faults you may or may not have accumulated—regardless of the outcome. If you're successful, you'll also be handed your very own test pass certificate. Ah—the f word. Nothing’s quite as terrifying to a learner driver. Fortunately, it doesn’t have to be a big issue. It’s as simple as getting back in the ring and trying again. 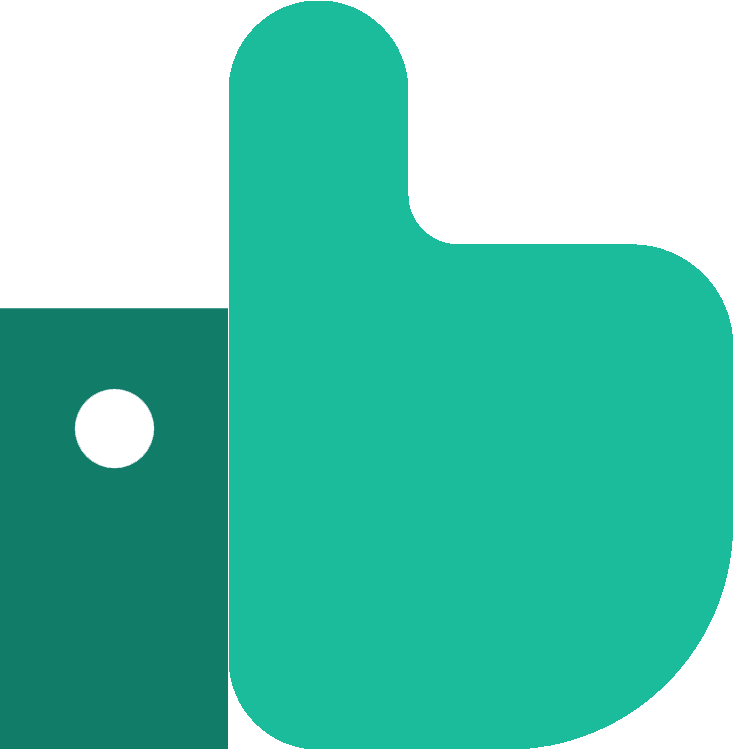 PassMeFast can offer you additional tuition and a fast-track practical, so you can get on the road in no time at all. Simply call us on 0333 123 4949 or get in touch via our website. No one wants to spend months or even years learning how to drive—it becomes a more costly affair the longer you drag it out. That's why PassMeFast offers intensive and semi-intensive courses in the Ealing area, so you can get on the road in mere weeks. Check out our course prices and pick the right course for you. Then, book in online or over the phone on 0333 123 4949.